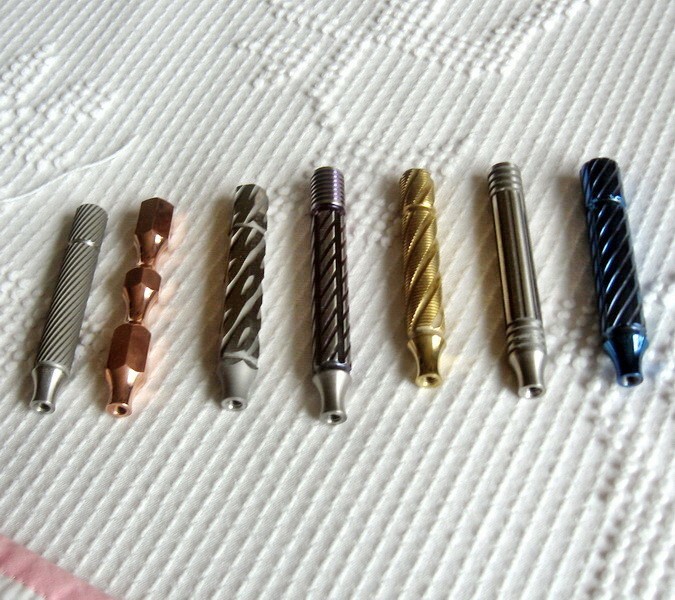 I would like to trade some of these custom Triad double edge razor handles for UFO handles or a Rooney Finest brush. I can offer a 1 for 1 trade of any one of these handles - your choice - for a brass or red bronze UFO, any model, and I'm willing to part with 2 or even 3 of the handles for a Rooney Finest. 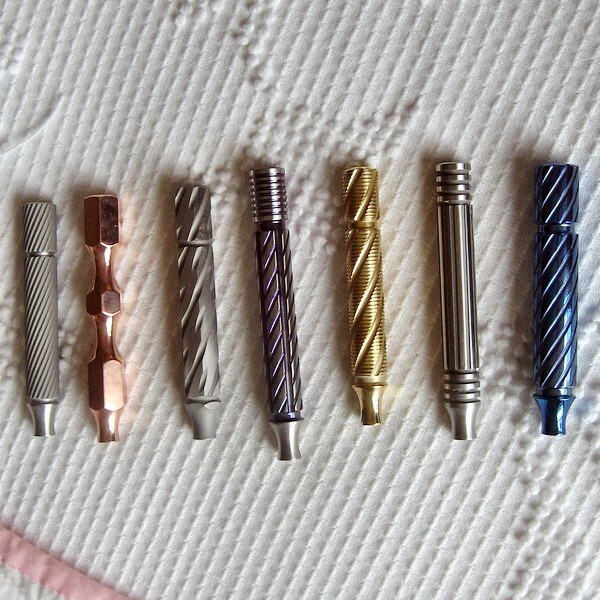 For anyone wondering, from the left, 1, 3, and 6 are stainless steel; 2 is copper; 4 and 7 are titanium; and 5 is brass. If you follow the forums, you are aware of the very, very long waiting list for a Triad. Please PM if interested in such a trade. I love Toby's work. A true artisan. GLWTS.